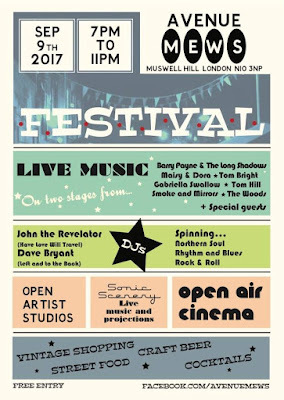 I'll be DJ'ing alongside the by now almost legendary London spinmaster John The Revelator at the forthcoming Avenue Mews Festival, N10 3NP on 9th September. 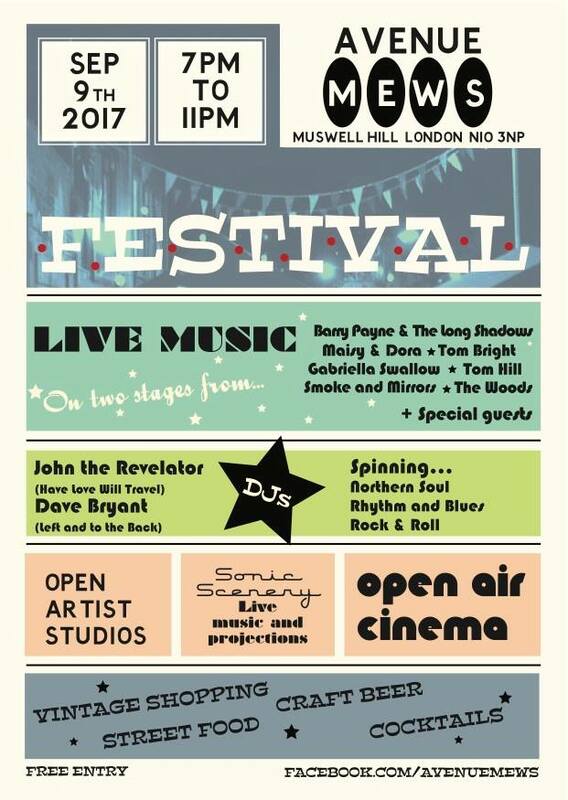 You can see all the details to the left of this text, but the festival takes place in a shopping mews in North London, and features open artist studios, live bands, independent stalls, street food, craft beer and essentially everything anyone within at least a five mile radius (and arguably beyond?) could possibly want. It's a busy event, it's free, and it's usually a chance to see a side of the area that's not always upfront and on display. Come along and say hello to me if you bump into me on your travels. I'll be by some vintage record decks pumping out some old sounds. For those of you who do Facebook, the event invite is here.